Histiocytosis is a heterogeneous group of disease entities, comprised by two main categories, namely Langerhans and non-Langerhans cell histiocytoses. Central nervous system involvement in histiocytosis is considered very rare and is often secondary to affection of anatomically related bone structures and/or multi-organ disease. 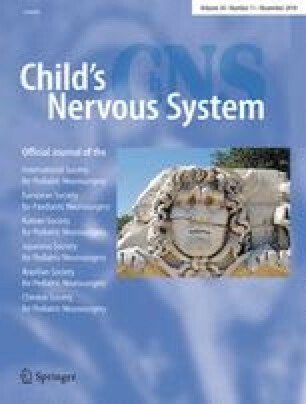 We present a never-before described case of rare childhood histiocytosis with hybrid features of Langerhans cell histiocytosis and juvenile xanthogranuloma confined to the central nervous system in a 2- and a half-year-old boy with distinct treatment response to clofarabine. The case also emphasizes the diagnostic significance of stereotactic brain biopsy. We would like to acknowledge Dr. Jennifer Picarsic, Children’s Hospital of Pittsburgh, University of Pittsburgh Medical Center, for her important contribution to the pathological examination and diagnosis.